Gov. 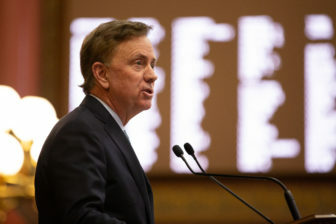 Ned Lamont addressing the Connecticut legislature. Lamont spokeswoman Maribel La Luz said the governor’s revenue plan does have progressive elements. 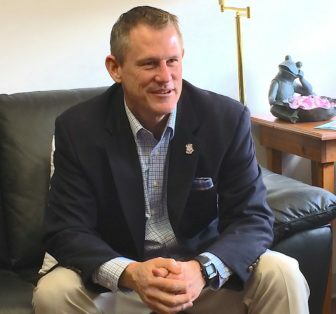 “It makes the current sales tax more progressive by broadening its base to include professional services like architecture, golf instruction, and horse training as well as luxury goods like boats and ski passes, rather than increasing the sales tax rate on everybody,” she said. 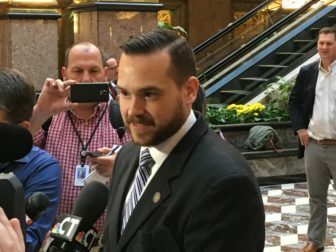 LaLuz also noted the governor’s plan to raise revenue by imposing certain teacher pension costs onto cities and towns also has a progressive component. All communities would have to help the state contribute to the teachers’ pension fund. But wealthier communities tend to pay higher teacher salaries, in turn leading to larger pensions for retirees from those districts. The billing system Lamont proposed would reflect that, asking wealthier communities to pay a proportionately larger amount. Gov. Ned Lamont conceded Tuesday that he won’t win new limits on cost-of-living adjustments to state employee pensions in time to build savings into the next state budget.